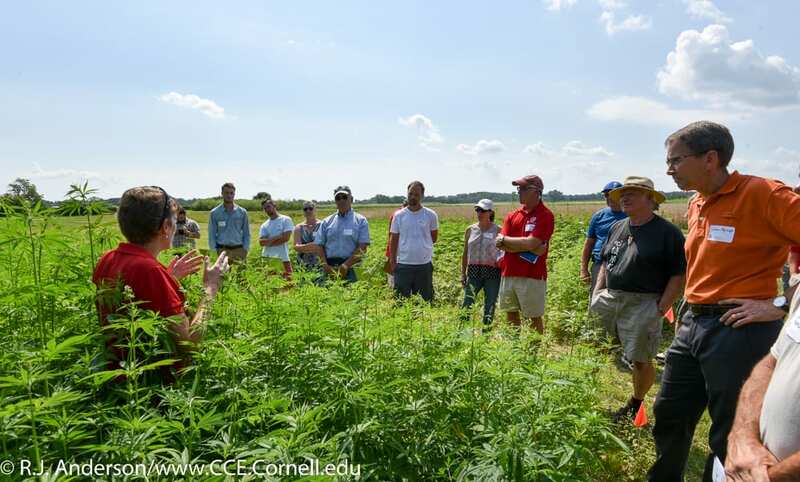 Join Cornell researchers and other industrial hemp experts to learn the latest about this emerging crop at an Aug.14 field day at the Cornell AgriTech Fruit and Vegetable Research Farm, 1097 County Road 4, in Geneva, New York. 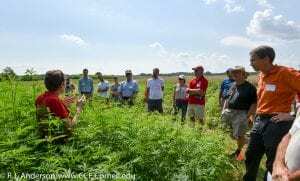 The Cornell Industrial Hemp Research Team Field Day is free and open to the public, but pre-registration is required. Donn Branton of Branton Farms illustrates the connection between water quality and soil health by showing two samples of water, one cloudy with sediment from the creek entering his property and the other with clear water that exits his farm. 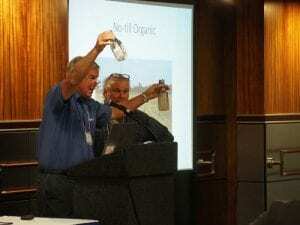 New York government policy and nonprofit leaders, researchers, farmers and agricultural professionals from 40 organizations attended the first statewide Soil Health Summit July 18 in Albany, New York. It was organized by New York Soil Health, which is funded by the state’s Environmental Protection Fund and coordinated by Cornell University’s College of Agriculture and Life Sciences (CALS). 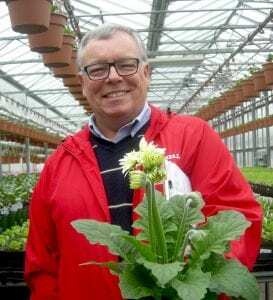 “The setting of this soil summit next to the state capital was by intention,” said David Wolfe, Cornell professor of plant and soil ecology and program lead for New York Soil Health. He said New York has been at the forefront of the global soil health movement and summit participants would discuss where to go from here. Topics included economic analyses of soil health costs and benefits; the relationship between soil health and climate change; addressing challenges of reducing tillage on vegetable farms; soil health for apple orchard systems; fortifying biochar with manure wastes as marketable fertilizer; and research on cover crop interseeding and perennial grains.